I've been meaning to post this for a while. My friend Paul Jackson has started a facebook page with the sole purpose of raising funds for the Wildlife Rehabilitation and Nature Preservation Society which is helping rescue animals endangered by the Deepwater Horizon oil spill in the Gulf of Mexico. Please take a moment to look through the Zazzle website where many artists have donated pieces for this important cause. I recently finished an image which I will donate for an auction in Pensacola later in the year. 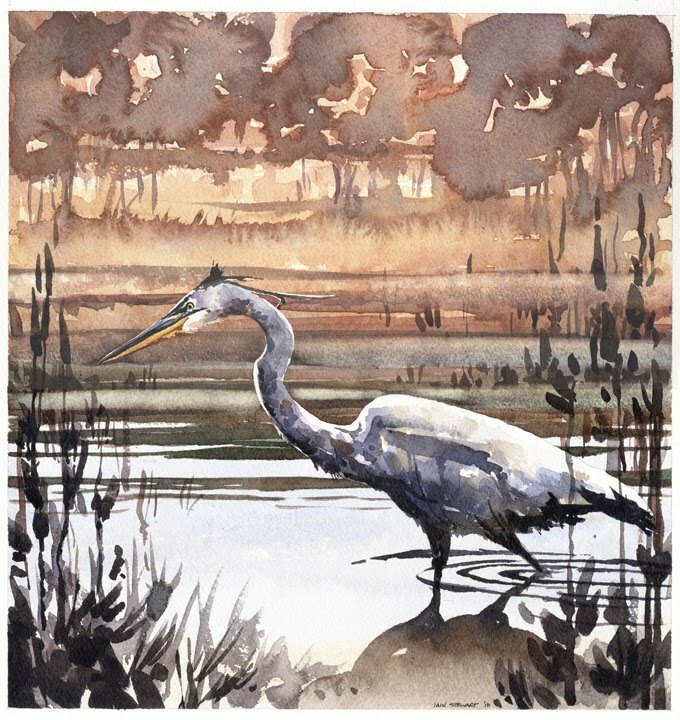 I've included a link to the Zazzle store where you can purchase merchandise with my image on it. All proceeds go to a worthy cause and I will not take one penny in profit from this. 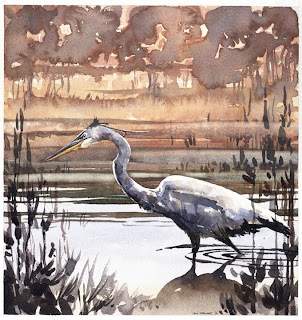 Great Blue Heron- 14" x 15"
This is a beautiful painting..and a great cause,too. Thank you both for the kind comments! Ingrid, where are you?